WINNIPEG - Sunday was the first day of free agency across the NHL, and it was busy for the Winnipeg. 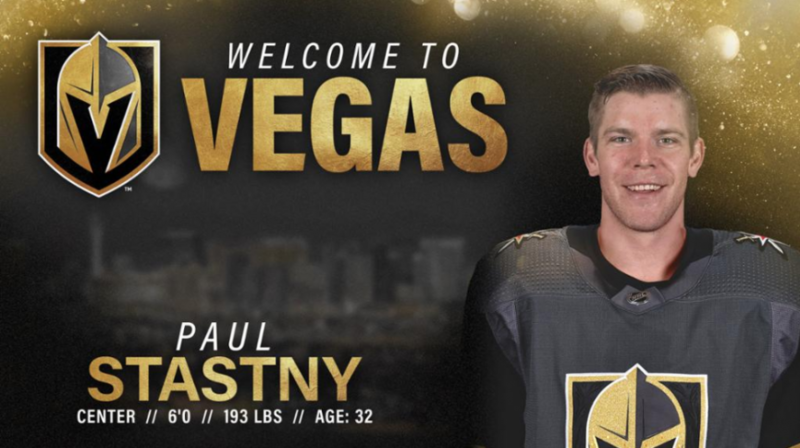 Paul Stastny signed with the Las Vegas Golden Nights. On @NHLJets Twitter Jets GM Kevin Cheveldayoff said "It was never a situation about willing to pay or anything like that. It was about what we were able to do." Stastny signed for a reported three year deal worth $6.5 Million a year. 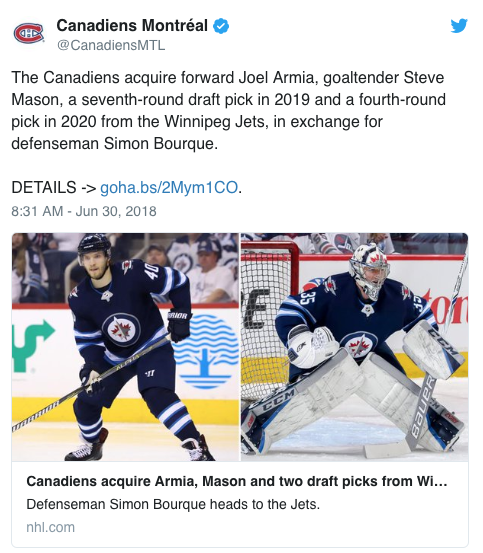 The Jets sent goaltender, Steve Mason, forward Joel Armia, a seventh-round draft pick in 2019 and a fourth-round pick in 2020 to Montreal in exchange for AHL defenseman Simon Bourque. 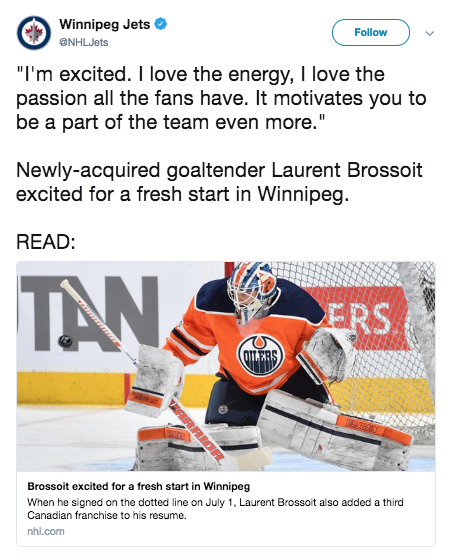 Jets sign Goaltender Laurent Brossoit, from Edmonton, to a one-year contract worth a reported $650,000. Friday made a trade with Anaheim and acquired forward Nicolas Kerdiles exchange for Chase De Leo.